Barbara Eckstein, 2019. Photo by Julia Poska 2019. When she came to teach at the University of Iowa, an urban and regional planning professor introduced her to sustainability, which was a useful model for pulling her interests together into her second book, Sustaining New Orleans. The English professor has since spent her career studying, advocating for and writing about racism, environmentalism and the relationships between the two. She’s also addressing climate change. https://iowaenvironmentalfocus.files.wordpress.com/2019/03/eckstein-mosquitoes.mp3Eckstein’s other environmental-literary interest? Mosquitos! Learn more here. 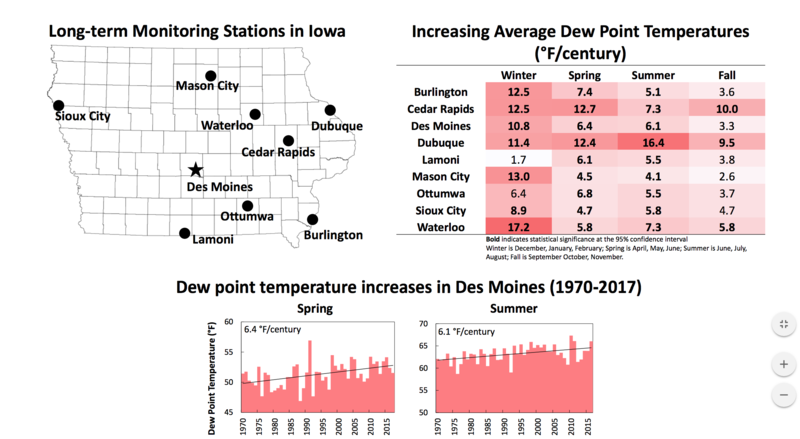 “Locally, what I saw was on the one hand an interesting, deep commitment in Iowa to Iowa as a political entity…and a distance from the climate change conversations that scientists and others were having at the universities and the colleges in Iowa,” Eckstein said. Together with various students and colleagues, she has spent years creating the People’s Weather Map, an online collection of stories about extreme weather in every Iowa county from both the recent and distant past. The target audience, she said, ranges from the dubious to the concerned: not the alarmed, and not the explicit deniers, who she said have a political stake in denial and remain a significant portion of the U.S. population. Eckstein instead wants to help people understand the complex links between climate change and extreme weather. The most important audience for climate communication, she said, is “Implicatory Deniers.” These are people who are convinced by climate science but have struggled to adjust their lifestyles accordingly. “We live this double consciousness, where we fully believe it, but we take plane trips to Bora Bora at the drop of a hat if we can afford it,” she said. https://iowaenvironmentalfocus.files.wordpress.com/2019/03/eckstein-denial.mp3Listen for more of Eckstein’s thoughts on climate denial. Narrative can be a powerful tool to sway such people. Eckstein referenced a model in which a human figure stands at the center of several concentric circles, each representing a psychological barrier to personal climate action, starting with “Identity.” An arrow representing stories attempts to pass through the circles. “As a person who studies and writes about literature and who is a writer, I think ‘Oh my God. What a huge responsibility!’” Eckstein exclaimed. Readers often identify themselves in stories, she said, but carefully written ones can bend their self-perception. Eckstein hopes the stories told in the People’s Weather Map can help readers think about the places they live in a new light. Stories also provide vicarious experience. Readers can learn from the mistakes and decision making of characters instead of making their own mistakes. But some stories are even more valuable than others. 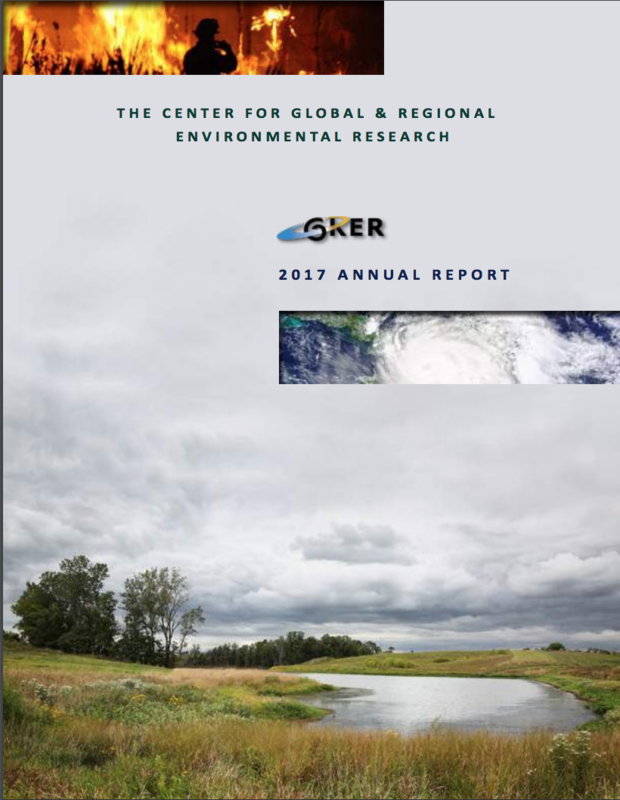 “I think we need to hear more from those people that we know generally are more vulnerable to a changing climate,” Eckstein said. https://iowaenvironmentalfocus.files.wordpress.com/2019/03/eckstein-pwm.mp3Hear Eckstein’s plans for the future of the People’s Weather Map. The environmental movement is inherently a social movement, but it has not always been (and still sometimes fails to be) socially oriented and inclusive. She said environmentalists have some racism to live down and must do all they can imagine to heal the rift with those who have faced social injustice. Celebrate Earth Day in Iowa!